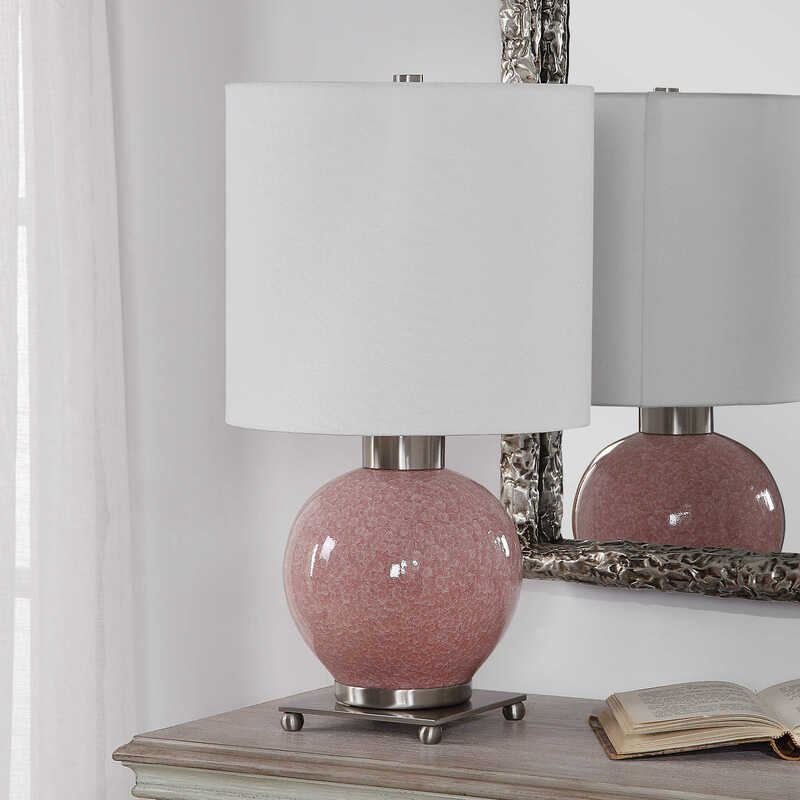 This lamp features a classic silhouette that features a pop of on-trend color. 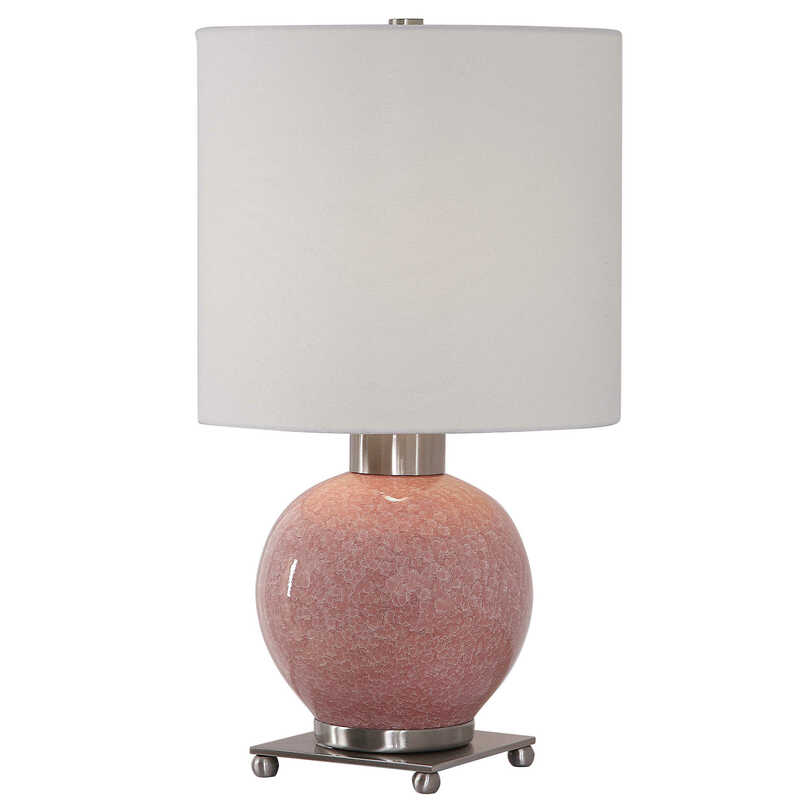 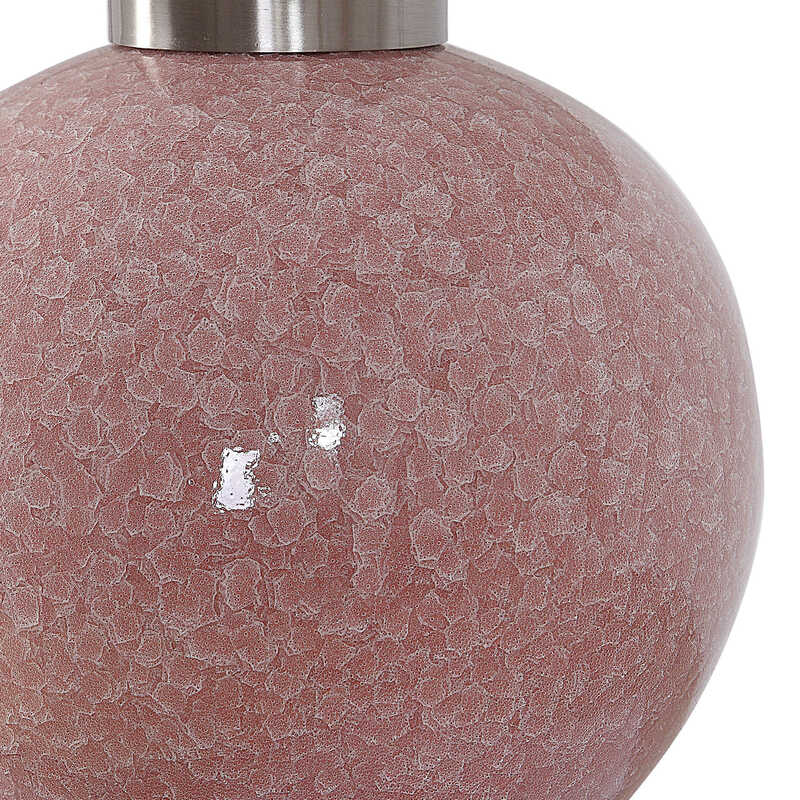 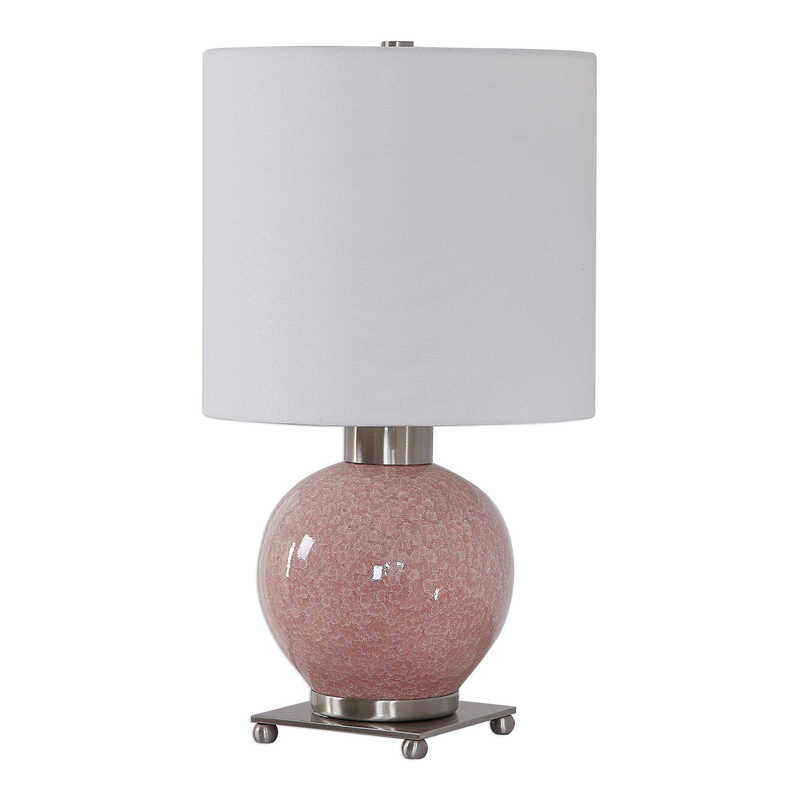 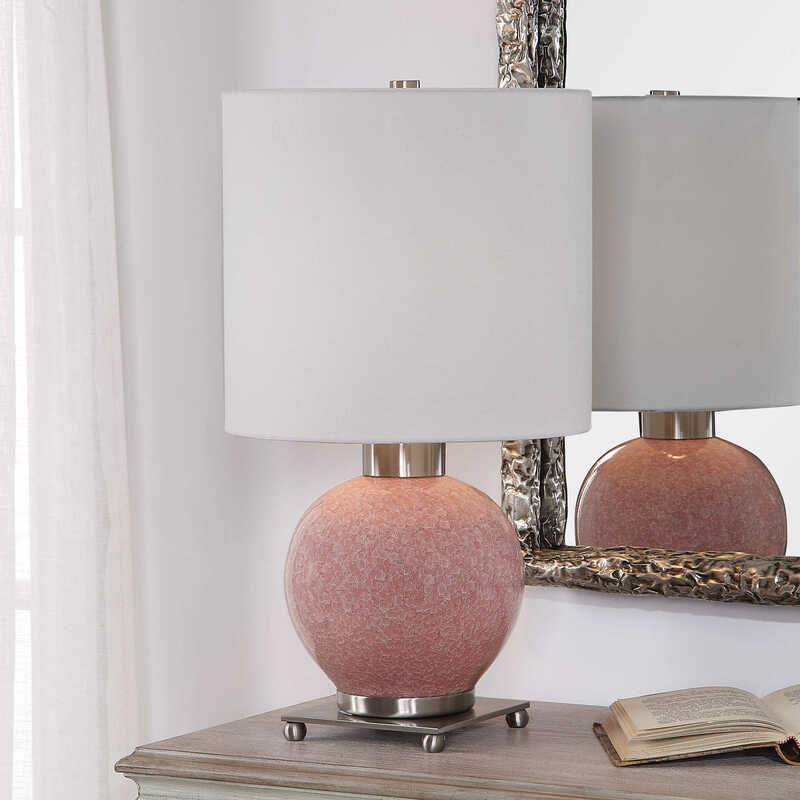 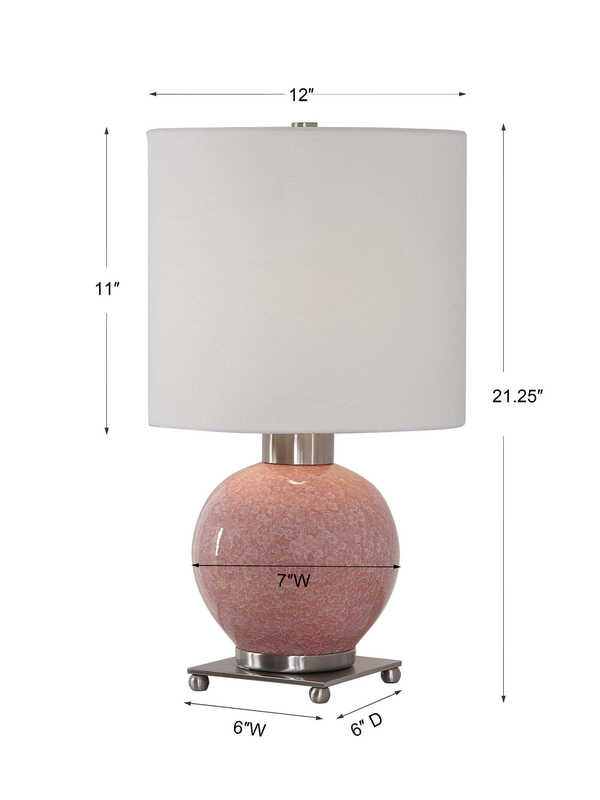 The rounded ceramic base is finished in a mottled, soft pink glaze that's accented with brushed nickel plated details. 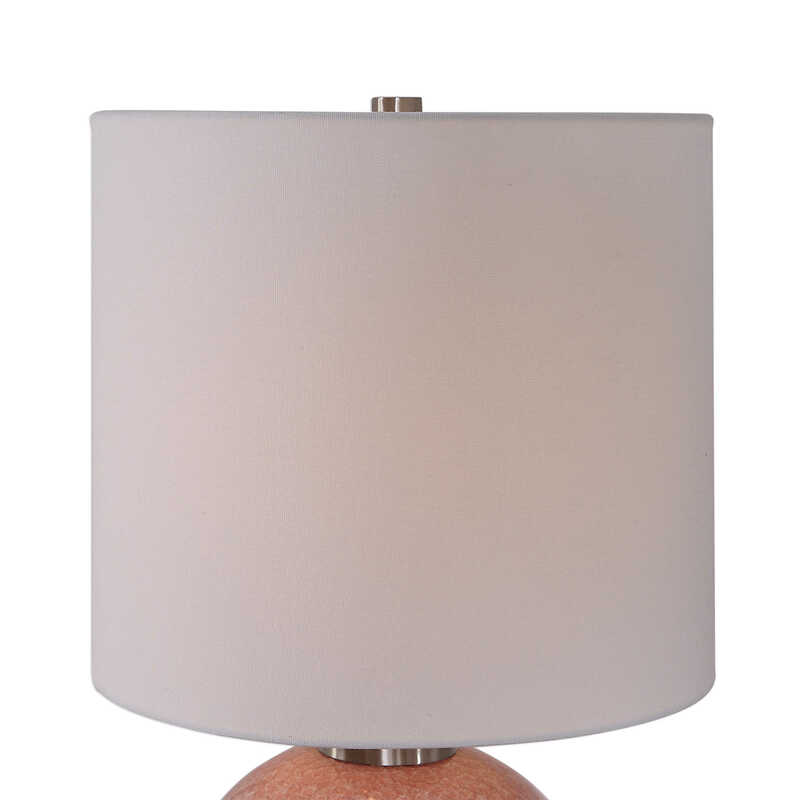 Each unique piece is completed by a hardback drum shade in a white linen fabric.